Our method has important advantages over thermal high intensity focused ultrasound treatments. We can control lesion location and size precisely and spare critical structures such as blood vessels. In terms of clinical applications, the range is quite broad. It basically can be applied to any treatment that requires any form of tissue ablation. 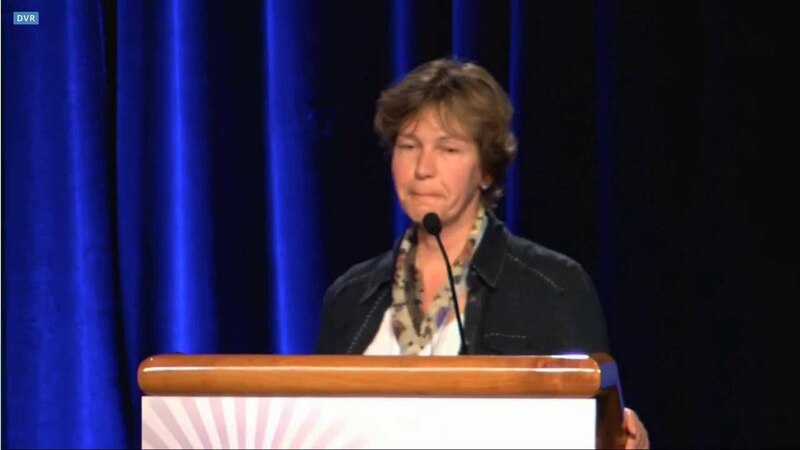 Transcutaneous boiling histotripsy ablation of the kidney in an in vivo porcine model, by Vera Khokhlova, delivered at the 5th International Symposium of Focused Ultrasound in Bethesda, MD, 29 August  1 September 2016. 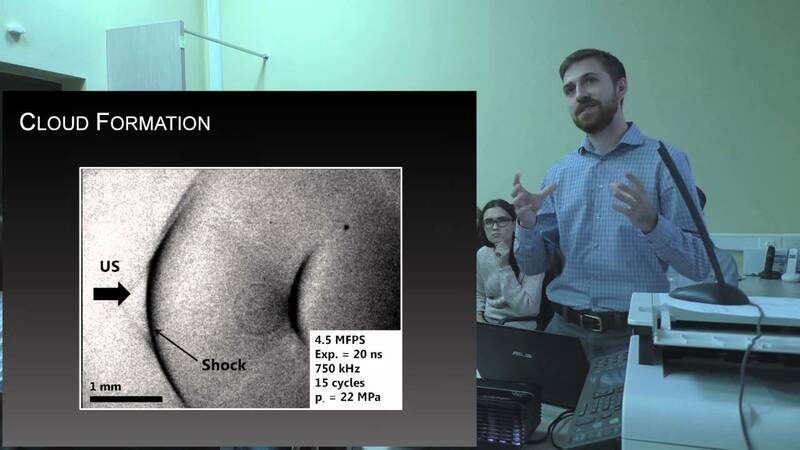 Focused ultrasound tissue disintegration: Mechanisms and applications to noninvasive surgery, by Adam Maxwell, delivered at the LIMU Seminar, 9 October 2015. Boiling histotripsy (BH) is a novel approach in high intensity focused ultrasound (HIFU) therapy to mechanically destroy remote target sites within a small focal region without damaging intervening tissues. BH utilizes sequences of millisecond-duration HIFU pulses with high-amplitude shocks that form at the focus by nonlinear propagation effects. Due to strong attenuation of the ultrasound energy at the shocks, these nonlinear waves rapidly heat tissue and generate millimeter-sized boiling bubbles at the focus within each pulse. Then the further interaction of subsequent shocks with the vapor cavity causes tissue disintegration into subcellular debris through the acoustic atomization mechanism. In boiling histotripsy, localized tissue volume at the focus of a HIFU beam is disintegrated into submicron-sized fragments. It was proposed that the physical mechanism of such fractionation is ultrasonic atomization, or the emission of a fine spray of droplets. Ultrasonic atomization is a well-known phenomenon used commercially in air humidifiers and medical nebulizers. In BH, this phenomenon occurs when a HIFU beam encounters the millimeter-sized vapor cavity (a tissue/vapor interface) generated at the focus by shock-wave superheating of tissue, i.e., boiling. The radiation force from the beam induces a bulge at the tissuevapor interface resulting in focusing of the reflected waves and generation of many cavitation bubbles in the bulge. Then cavitation and unstable capillary waves cause fine droplets to pinch off from the surface into the vapor bubble, disintegrating the tissue. Boiling histotripsy is performed with highly focused ultrasound transducers that concentrate acoustic pressure down to a small focal region at the target site. The transducers are piezoelectric, such that when a cyclic voltage is applied to the material, it expands and contracts to produce sinusoidal ultrasound waves that distort into shock waves near the focus due to nonlinear propagation effects. The transducer voltage is generated by a high-power pulse generator. We have worked with a clinical system that is capable of generating shock-wave fields at the focus. Many focused histotripsy transducers have been designed, fabricated, and tested by our lab. We also designed a multi-element array for an ultrasound-guided BH pre-clinical system. Our research is focused on improving the capabilities of transducers and electronics to allow boiling histotripsy to be used in a broad range of applications. Boiling histotripsy can result in a range of bioeffects (mechanical with and without a thermal component). Single and volumetric lesions have been evaluated using a multimodal approach to determine the extent of mechanical disruption and the presence of a thermal component. Gross evaluation of bisected lesions, gave an idea of the liquidity of lesion contents and a qualitative evaluation of the thermal component. Biochemical analysis enabled a quantitative evaluation of the thermal component. Histology and transmission electron microscopy (TEM) was used to evaluate the extent of the homogenization and the extent of lesion borders. The multimodal evaluation suggests that the degree of mechanical tissue disruption and heat generated in BH lesions could be tailored to the targeted clinical application. Axial cross sections of BH lesions created in ex vivo bovine liver tissue: (a) liquid, (b) paste, and (c) vacuolated thermal. Each lesion type is illustrated by (i) a representative photograph and histologic images of consecutive frozen sections stained with (ii) H&E or (iii) NADH-d. The liquid and paste lesions are clearly demarcated in both H&E- and NADH-stained sections as tissue lacking cellular structure (a, b). Thermal damage is present in some areas of the paste lesion (b), but absent in the liquid lesion (a). The vacuolated thermal (c) lesion is characterized by the absence of NADH-d stain. Scale bar represents 2 mm. 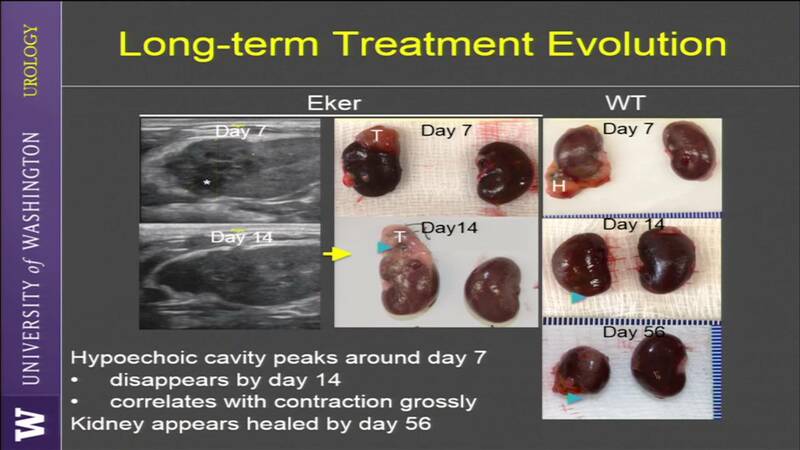 Boiling histotripsy provides the ability to non-invasively fractionate unwanted soft tissue into sub-micron slurry while targeting and monitoring the procedure with ultrasound imaging. Unlike other forms of ablation, such as radio-frequency or cryoablation, boiling histotripsy is not affected by the 'heat sink effect' in highly perfused tissue, and is not limited by the size of the area to be treated. Further, connective tissue structures, such as blood vessels, biliary structures, or organ membranes were shown to be more resistant to boiling histotripsy damage than cells. This tissue selectivity allows treatment of areas immediately adjacent to large blood vessels or other critical structures. 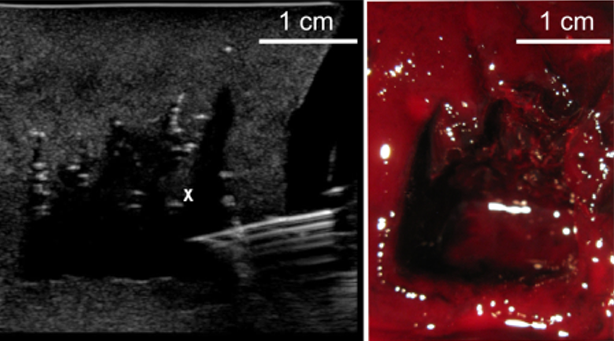 Boiling histotripsy lesions generated in the cortex of a procine kidney and example of real-time ultrasound imaging of the treatment. 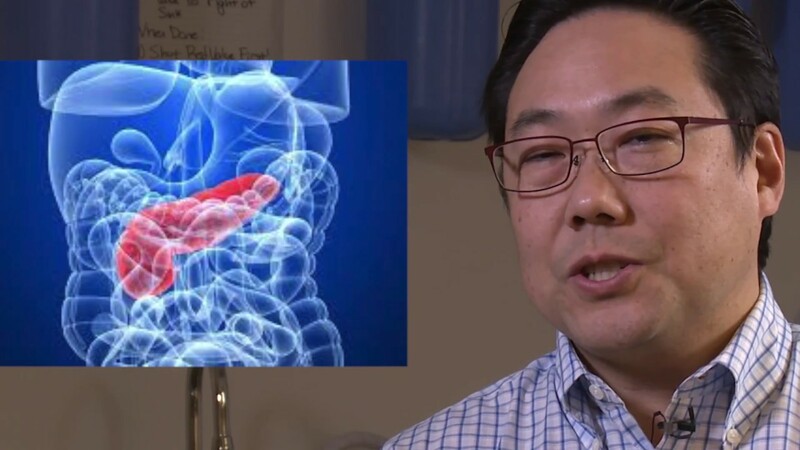 Taken together, the characteristics of boiling histotripsy make it a very promising technology for a number of clinical applications, most importantly  ablation of benign and malignant tumors, including liver, kidney, prostate and pancreas tumors. In the case of cancer tumors, the collection of fractionated (but not thermally damaged) tumor debris produced by the treatment, as well as the release of pro-inflammatory cytokines, may also stimulate activation and proliferation of tumor-specific T lymphocytes. If enhanced by additional immunotherapeutic interventions, this systemic anti-tumor immune response may potentially lead to the regression of distant metastases, and is currently the subject of pre-clinical studies by our group and others. The hypothesized mechanism behind systemic anti-tumor immune response triggered by boiling histotripsy. Another promising application of boiling histotripsy is the management of large, soft tissue hematomas. Large intra-abdominal, retroperitoneal, and intramuscular hematomas are common consequences of sharp and blunt trauma and postsurgical bleeds. These often threaten organ failure, compartment syndrome, or spontaneous infection. Current therapy options include surgical evacuation and installation of indwelling drains that are not effective due to the viscosity of the organized hematoma. We have demonstrated that boiling histotripsy allows rapid (within 1520 minutes) liquifaction of large volumes of gelatinous hematoma. The liquid can then be aspirated with a fine needle, relieving the pressure on the surrounding tissues and organs. Ultrasound image (left) of fine needle aspiration of a large blood clot liquefied by boiling histotripsy. The same sample is shown bisected on the right. The ability to spare collagen rich structures such as blood vessels has another potential application. A promise of tissue engineering is to develop tissue and organ substitutes that replace diseased or injured tissue and organs. Suitable replacement tissues require scaffolds to provide three-dimensional support with an appropriate mechanical and biological environment to promote tissue neogenesis. The complex architecture of native tissue has been hard to recreate in the lab setting. The use of mammalian biological scaffolds could establish a foundation on which functional replacement of whole organs and complex tissues could be developed. Decellularization is the process by which the cellular material of an organ/tissue is removed. Current decellularization techniques are a lengthy process and can result in chemical alterations to the matrix. BH could potentially be used to decellularize organs for tissue engineering and regenerative medicine applications. Area of bovine liver liquified with boiling histotripsy. 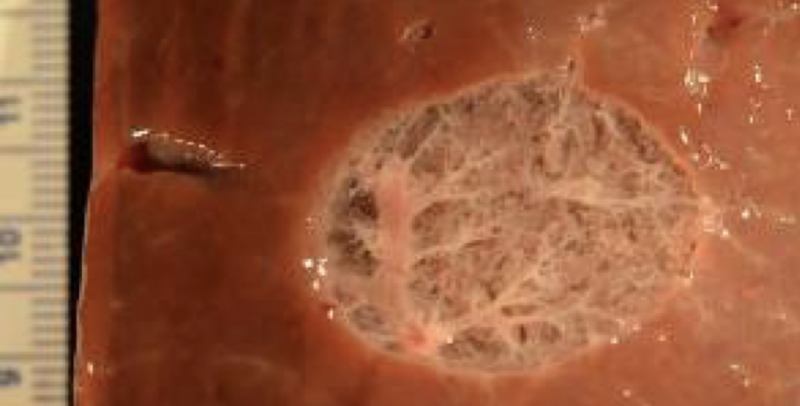 Note the network of blood vessels and biliary structures that remained intact. A method for imaging a cavitation bubble includes producing a vibratory wave that induces a cavitation bubble in a medium, producing one or more detection waves directed toward the induced cavitation bubble, receiving one or more reflection waves, identifying a change in one or more characteristics of the induced cavitation bubble, and generating an image of the induced cavitation bubble using a computing device on the basis of the identified change in the one or more characteristics. The one or more received reflection waves correspond to at least one of the one or more produced detection waves reflection from the induced cavitation bubble. The identified change in one or more characteristics corresponds to the one or more received reflection waves. Methods and systems for non-invasive treatment of tissue using high intensity focused ultrasound ("HIFU") therapy. A method of non-invasively treating tissue in accordance with an embodiment of the present technology, for example, can include positioning a focal plane of an ultrasound source at a target site in tissue. The ultrasound source can be configured to emit HIFU waves. The method can further include pulsing ultrasound energy from the ultrasound source toward the target site, and generating shock waves in the tissue to induce boiling of the tissue at the target site within milliseconds. The boiling of the tissue at least substantially emulsifies the tissue. Methods and systems for non-invasive treatment of tissue using high intensity focused ultrasound (HIFU) therapy. A method of non-invasively treating tissue in accordance with an embodiment of the present technology, for example, can include positioning a focal plane of an ultrasound source at a target site in tissue. The ultrasound source can be configured to emit HIFU waves. The method can further include pulsing ultrasound energy from the ultrasound source toward the target site, and generating shock waves in the tissue to induce boiling of the tissue at the target site within milliseconds. The boiling of the tissue at least substantially emulsifies the tissue. Maxwell, A.D., P.V. Yuldashev, W. Kreider, T.D. Khokhlova, G.R. Schade, T.L. Hall, O.A. Sapozhnikov, M.R. Bailey, and V.A. Khokhlova, "A prototype therapy system for transcutaneous application of boiling histotripsy," IEEE Trans. Ultrason. Ferroelectr. Freq. Control, 64, 1542-1557, doi:10.1109/TUFFC.2017.2739649, 2017. Boiling histotripsy (BH) is a method of focused ultrasound surgery that noninvasively applies millisecond-length pulses with high-amplitude shock fronts to generate liquefied lesions in tissue. Such a technique requires unique outputs compared to a focused ultrasound thermal therapy apparatus, particularly to achieve high in situ pressure levels through intervening tissue. This paper describes the design and characterization of a system capable of producing the necessary pressure to transcutaneously administer BH therapy through clinically relevant overlying tissue paths using pulses with duration up to 10 ms. A high-voltage electronic pulser was constructed to drive a 1-MHz focused ultrasound transducer to produce shock waves with amplitude capable of generating boiling within the pulse duration in tissue. The system output was characterized by numerical modeling with the 3-D Westervelt equation using boundary conditions established by acoustic holography measurements of the source field. Such simulations were found to be in agreement with directly measured focal waveforms. An existing derating method for nonlinear therapeutic fields was used to estimate in situ pressure levels at different tissue depths. The system was tested in ex vivo bovine liver samples to create BH lesions at depths up to 7 cm. Lesions were also created through excised porcine body wall (skin, adipose, and muscle) with 35 cm thickness. These results indicate that the system is capable of producing the necessary output for transcutaneous ablation with BH. Khokhlova, T.D., Y.A. Haider, A.D. Maxwell, W. Kreider, M.R. Bailey, and V.A. Khokhlova, "Dependence of boiling histotripsy treatment efficiency on HIFU frequency and focal pressure levels," Ultrasound Med. Biol., 9, 1975-1985, doi:10.1016/j.ultrasmedbio.2017.04.030, 2017. Boiling histotripsy (BH) is a high-intensity focused ultrasound (HIFU)–based method of mechanical tissue fractionation that utilizes millisecond-long bursts of HIFU shock waves to cause boiling at the focus in milliseconds. The subsequent interaction of the incoming shocks with the vapor bubble mechanically lyses surrounding tissue and cells. The acoustic parameter space for BH has been investigated previously and an inverse dependence between the HIFU frequency and the dimensions of a BH lesion has been observed. The primary goal of the present study was to investigate in more detail the ablation rate and reliability of BH in the frequency range relevant to treatment of deep abdominal tissue targets (12 MHz). The second goal was to investigate the effect of focal peak pressure levels and shock amplitude on BH lesion formation, given a constant duty factor, a constant ratio of the pulse duration to the time to reach boiling and a constant number of BH pulses. A custom-built 12-element sector array HIFU transducer with F-number = 1.05 was used in all experiments. BH pulses at 5 different frequencies (1, 1.2, 1.5, 1.7 and 1.9 MHz) were delivered to optically transparent polyacrylamide gel phantoms and ex vivo bovine liver and myocardium tissue to observe cavitation and boiling bubble activity with high-speed photography and B-mode ultrasound imaging, correspondingly. In gel phantoms, a cavitation bubble cloud was shown to form prefocally and to shield the focus in all exposures at 1 and 1.2 MHz and in the highest amplitude exposures at 1.51.7 MHz; shielding was not observed at 1.9 MHz. In ex vivo tissue, this shielding effect was observed in 25% of exposures when peak negative in situ pressure exceeded 10.2 MPa at 1 MHz and 14.5 MPa at 1.5 MHz. When shielding occurred, the exposures resulted in mild tissue disruption in the prefocal region, but not liquefaction. The dimensions of liquefied lesions followed the inverse proportionality trend with frequency; consequently, the frequency range of 1.21.5 MHz appeared to be preferable for BH exposures in terms of the compromise between the ablation rate and reliability. The lesion size was independent of the duration of the BH pulses (or the total "HIFU on" time), provided that the number of pulses was constant and boiling was induced within each pulse. Thus, the use of shorter (1 ms vs. 10 ms), higher amplitude BH pulses allowed up to 10-fold reduction in treatment time for a given duty factor. Rosnitskiy, P.B., P.V. Yuldashev, O.A. Sapozhnikov, A. Maxwell, W. Kreider, M.R. Bailey, "Design of HIFU transducers for generating specific nonlinear ultrasound fields," IEEE Trans. Ultrason. Ferroelectr. Freq. Control, doi:10.1109/TUFFC.2016.2619913, 2016. Various clinical applications of high intensity focused ultrasound (HIFU) have different requirements for the pressure levels and degree of nonlinear waveform distortion at the focus. The goal of this work was to determine transducer design parameters that produce either a specified shock amplitude in the focal waveform or specified peak pressures while still maintaining quasilinear conditions at the focus. Multiparametric nonlinear modeling based on the KZK equation with an equivalent source boundary condition was employed. Peak pressures, shock amplitudes at the focus, and corresponding source outputs were determined for different transducer geometries and levels of nonlinear distortion. Results are presented in terms of the parameters of an equivalent single-element, spherically shaped transducer. The accuracy of the method and its applicability to cases of strongly focused transducers were validated by comparing the KZK modeling data with measurements and nonlinear full-diffraction simulations for a single-element source and arrays with 7 and 256 elements. The results provide look-up data for evaluating nonlinear distortions at the focus of existing therapeutic systems as well as for guiding the design of new transducers that generate specified nonlinear fields. Khokhlova, V.A., P.V. Yuldashev, P.B. Rosnitskiy, A.D. Maxwell, W. Kreider, M.R. Bailey, and O.A. Sapozhnikov, "Design of HIFU transducers to generate specific nonlinear ultrasound fields," Phys. Proced., 87, 132-138, doi:10.1016/j.phpro.2016.12.020, 2016. Various clinical applications of high intensity focused ultrasound (HIFU) have different requirements on the pressure level and degree of nonlinear waveform distortion at the focus. Applications that utilize nonlinear waves with developed shocks are of growing interest, for example, for mechanical disintegration as well as for accelerated thermal ablation of tissue. In this work, an inverse problem of determining transducer parameters to enable formation of shocks with desired amplitude at the focus is solved. The solution was obtained by performing multiple direct simulations of the parabolic KhokhlovZabolotskayaKuznetsov (KZK) equation for various parameters of the source. It is shown that results obtained within the parabolic approximation can be used to describe the focal region of single element spherical sources as well as complex transducer arrays. It is also demonstrated that the focal pressure level at which fully developed shocks are formed mainly depends on the focusing angle of the source and only slightly depends on its aperture and operating frequency. Using the simulation results, a 256-element HIFU array operating at 1.5 MHz frequency was designed for a specific application of boiling-histotripsy that relies on the presence of 90100 MPa shocks at the focus. The size of the array elements and focusing angle of the array were chosen to satisfy technical limitations on the intensity at the array elements and desired shock amplitudes in the focal waveform. Focus steering capabilities of the array were analysed using an open-source T-Array software developed at Moscow State University. Simon, J.C., O.A. Sapozhnikov, V.A. Khokhlova, and L.A. Crum, "Ultrasonic atomization of liquids in drop-chain acoustic fountains," J. Fluid Mech., 766, 129-146, doi:10.1017/jfm.2015.11, 2015. When focused ultrasound waves of moderate intensity in liquid encounter an air interface, a chain of drops emerges from the liquid surface to form what is known as a drop-chain fountain. Atomization, or the emission of micro-droplets, occurs when the acoustic intensity exceeds a liquid-dependent threshold. While the cavitation-wave hypothesis, which states that atomization arises from a combination of capillary-wave instabilities and cavitation bubble oscillations, is currently the most accepted theory of atomization, more data on the roles of cavitation, capillary waves, and even heat deposition or boiling would be valuable. In this paper, we experimentally test whether bubbles are a significant mechanism of atomization in drop-chain fountains. High-speed photography was used to observe the formation and atomization of drop-chain fountains composed of water and other liquids. For a range of ultrasonic frequencies and liquid sound speeds, it was found that the drop diameters approximately equalled the ultrasonic wavelengths. When water was exchanged for other liquids, it was observed that the atomization threshold increased with shear viscosity. Upon heating water, it was found that the time to commence atomization decreased with increasing temperature. Finally, water was atomized in an overpressure chamber where it was found that atomization was significantly diminished when the static pressure was increased. These results indicate that bubbles, generated by either acoustic cavitation or boiling, contribute significantly to atomization in the drop-chain fountain. Maxwell, A., O. Sapozhnikov, M. Bailey, L. Crum, Z. Xu, B. Fowlkes, C. Cain, and V. Khokhlova, "Disintegration of tissue using high intensity focused ultrasound: Two approaches that utilize shock waves," Acoust. Today, 8, 24-37, doi:10.1121/1.4788649, 2012. Surgery is moving more and more toward minimally-invasive procedures  using laparoscopic approaches with instruments inserted through tiny incisions or catheters placed in blood vessels through puncture sites. These techniques minimize the risks to the patient such as bleeding complications or infection during surgery. Taken a step further, high-intensity focused ultrasound (HIFU) can provide a tool to accomplish many of the same procedures without any incision at all. This article discusses the acoustics of histotripsy  including the processes of generation and focusing of intense ultrasound, the formation of cavitation clouds and rapid boiling in tissue, and the interactions of ultrasound shock waves with bubbles leading to tissue disintegration. Khokhlova, T.D., M.S. Canney, V.A. Khokhlova, O.A. Sapozhnikov, L.A. Crum, and M.R. Bailey, "Controlled tissue emulsification produced by high intensity focused ultrasound shock waves and millisecond boiling," J. Acoust. Soc. Am., 130, 3498-3510, doi:10.1121/1.3626152, 2011. In high intensity focused ultrasound (HIFU) applications, tissue may be thermally necrosed by heating, emulsified by cavitation, or, as was recently discovered, emulsified using repetitive millisecond boiling caused by shock wave heating. Here, this last approach was further investigated. Experiments were performed in transparent gels and ex vivo bovine heart tissue using 1, 2, and 3 MHz focused transducers and different pulsing schemes in which the pressure, duty factor, and pulse duration were varied. A previously developed derating procedure to determine in situ shock amplitudes and the time-to-boil was refined. Treatments were monitored using B-mode ultrasound. Both inertial cavitation and boiling were observed during exposures, but emulsification occurred only when shocks and boiling were present. Emulsified lesions without thermal denaturation were produced with shock amplitudes sufficient to induce boiling in less than 20 ms, duty factors of less than 0.02, and pulse lengths shorter than 30 ms. Higher duty factors or longer pulses produced varying degrees of thermal denaturation combined with mechanical emulsification. Larger lesions were obtained using lower ultrasound frequencies. The results show that shock wave heating and millisecond boiling is an effective and reliable way to emulsify tissue while monitoring the treatment with ultrasound. Canney, M.S., V.A. Khokhlova, O.V. Bessonova, M.R. Bailey, and L.A. Crum, "Shock-induced heating and millisecond boiling in gels and tissue due to high intensity focused ultrasound," Ultrasound Med Biol., 36, 250-267, 2010. Nonlinear propagation causes high-intensity ultrasound waves to distort and generate higher harmonics, which are more readily absorbed and converted to heat than the fundamental frequency. Although such nonlinear effects have been investigated previously and found to not significantly alter high-intensity focused ultrasound (HIFU) treatments, two results reported here change this paradigm. One is that at clinically relevant intensity levels, HIFU waves not only become distorted but form shock waves in tissue. The other is that the generated shock waves heat the tissue to boiling in much less time than predicted for undistorted or weakly distorted waves. In this study, a 2-MHz HIFU source operating at peak intensities up to 25,000 W/cm2 was used to heat transparent tissue-mimicking phantoms and ex vivo bovine liver samples. Initiation of boiling was detected using high-speed photography, a 20-MHz passive cavitation detector and fluctuation of the drive voltage at the HIFU source. The time to boil obtained experimentally was used to quantify heating rates and was compared with calculations using weak shock theory and the shock amplitudes obtained from nonlinear modeling and measurements with a fiber optic hydrophone. As observed experimentally and predicted by calculations, shocked focal waveforms produced boiling in as little as 3 ms and the time to initiate boiling was sensitive to small changes in HIFU output. Nonlinear heating as a result of shock waves is therefore important to HIFU, and clinicians should be aware of the potential for very rapid boiling because it alters treatments. Khokhlova, T.D., M.S. Canney, D. Lee, K.I. Marro, L.A. Crum, V.A. Khokhlova, and M.R. Bailey, "Magnetic resonance imaging of boiling induced by high intensity focused ultrasound," J. Acoust. Soc. Am., 125, 2420-2431, 2009. Both mechanically induced acoustic cavitation and thermally induced boiling can occur during high intensity focused ultrasound (HIFU) medical therapy. The goal was to monitor the temperature as boiling was approached using magnetic resonance imaging (MRI). Tissue phantoms were heated for 20 s in a 4.7-T magnet using a 2-MHz HIFU source with an aperture and radius of curvature of 44 mm. The peak focal pressure was 27.5 MPa with corresponding beam width of 0.5 mm. The temperature measured in a single MRI voxel by water proton resonance frequency shift attained a maximum value of only 73 degrees C after 7 s of continuous HIFU exposure when boiling started. Boiling was detected by visual observation, by appearance on the MR images, and by a marked change in the HIFU source power. Nonlinear modeling of the acoustic field combined with a heat transfer equation predicted 100 degrees C after 7 s of exposure. Averaging of the calculated temperature field over the volume of the MRI voxel (0.3 x 0.5 x 2 mm(3)) yielded a maximum of 73 degrees C that agreed with the MR thermometry measurement. These results have implications for the use of MRI-determined temperature values to guide treatments with clinical HIFU systems. 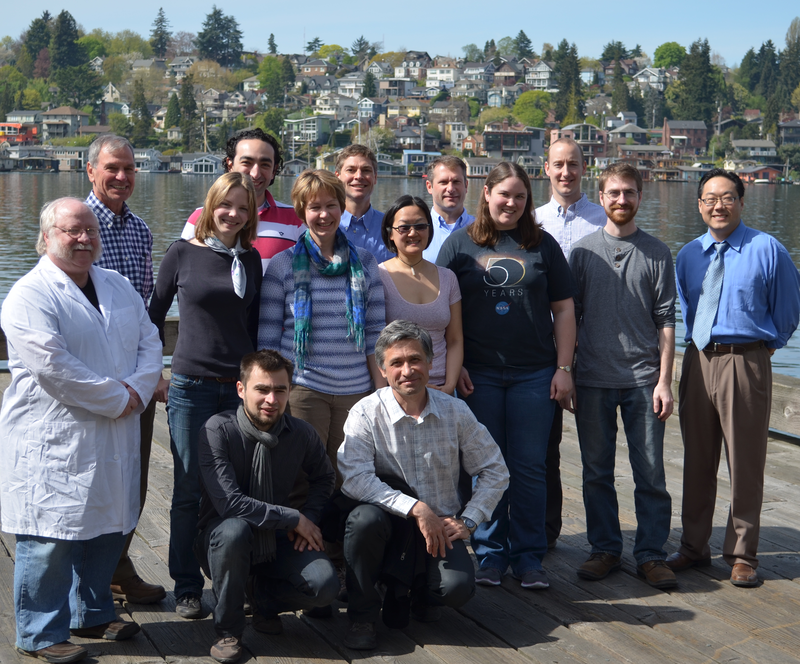 An alternative method of tissue fractionation  boiling histotripsy  has been developed in a unique collaboration between the University of Washington (UW) in Seattle and Moscow State University (MSU) in Russia.